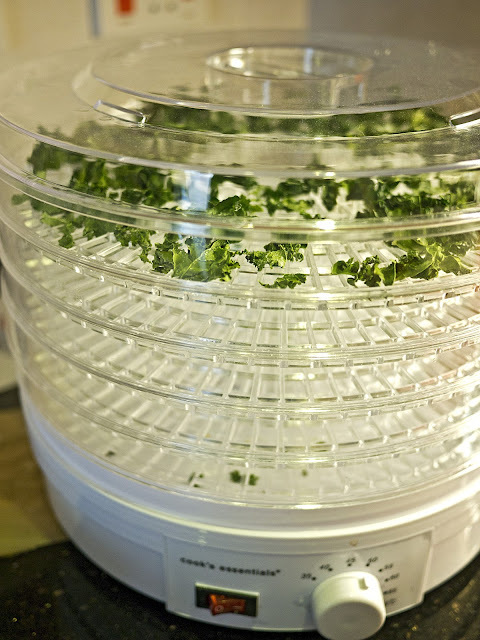 Experiment number two with the dehydrator. This is as easy as it comes and the result was very good, and of course really healthy. 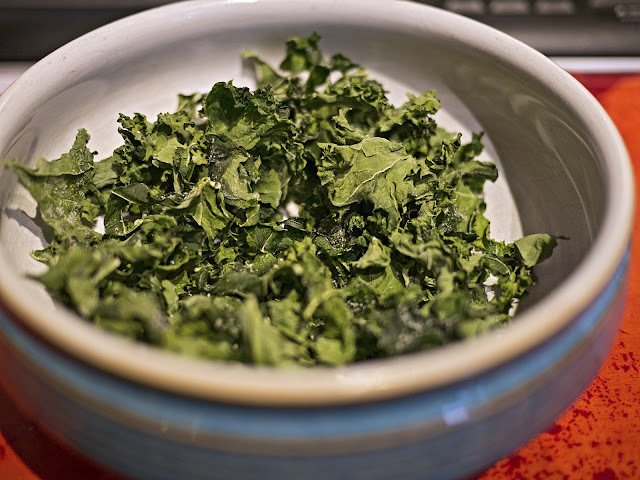 Take a packet of curly kale and spread the pieces out on one or more of the trays in the dehydrator. Pray with some Fry Light and sprinkle with salt. Set the thermostat to 50°C and leave for several hours until crisp.